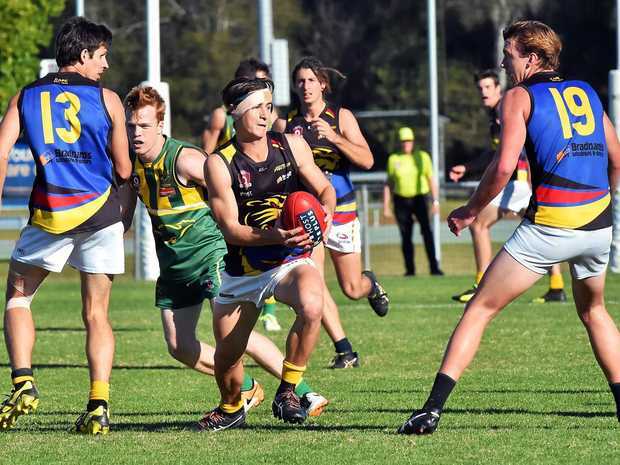 AUSSIE RULES: After claiming a third successive victory, Caloundra coach Steve Moody believes current form could sneak the side a place in the finals. 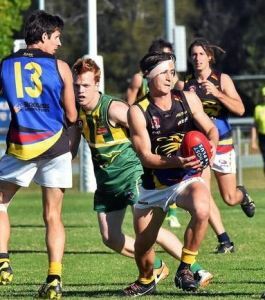 The Panthers moved within striking distance of a finals berth in the south-east Queensland division one competition after downing Mayne 16.15 (111) to 12.9 (81) on Saturday. The win didn't put Caloundra within the top five cut-off on the 10-team ladder. However, with three games left, Moody said it had kept their finals ambitions alive. "We have to win two out of the next three and if we can do that, then we will get into the finals,” he said. Currently on a three-game winning streak and with the looming return of ex-Brisbane Lions star Dan Merrett, Moody hoped to finish the final three rounds undefeated. "We're playing some pretty good football and we've got a good group of blokes in and around the football club and we're putting good sides out on the paddock,” he said. Moody admitted the strength of the competition provided a challenging road ahead for Caloundra. "It's a good competition and you've got to come to play and if you don't, then you put yourself in a position where you could quite easily be knocked over,” he said. "We've got three pretty hard games coming up and they are all against sides that are in the final five, so we don't have an easy run home.